Whether you’re a sports lover or not, the Fifa World Cup was proven to be a brilliant marketing tool for brands to get their message out there. With multi-screen viewing now becoming the ‘norm’ when viewers are watching TV, advertisers were encouraged to take advantage of online marketing, not only before and after the game but during too. To be specific, 90% of sports fans admit to saying they use their mobile while watching games- a huge potential audience for businesses. As brands saw the opening to promote themselves during the world cup, we saw 1000s of campaigns across the season, from small companies and star brands alike such as Coca-Cola, Pringles and Paddy Power. However, the campaigns which really stood out to us were those who showed brilliant creativity & innovation. 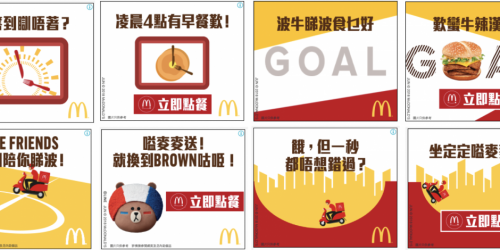 McDonald's in Hong Kong focused on new technology during their World Cup promotion by using real-time technology to anticipate hunger and drive orders through their new delivery service. In order to action this new marketing technique, McDonald’s partnered with Google to use their real-time trigger’s to drive McDelivery orders during the World Cup. McDonald's and Google concluded that football fans are the most hungry (and therefore more susceptible to buying food) when they're excited. Using this information, they cleverly focused their campaign around moments when a goal had been scored, half-time or the end of a game. The campaign used Google's real-time technology to push promotions during the key moments when the audience will be the most excited. This is the first time this technology has been used for this type of live-action marketing campaign and highlights just how much can be done with the ever-evolving technology out there today. We expect to see the use of this technology increasing massively over the coming years. Although not as tech-oriented, another brand we thought did a fantastic job of using innovative methods of promoting their brand during the world cup was IKEA. 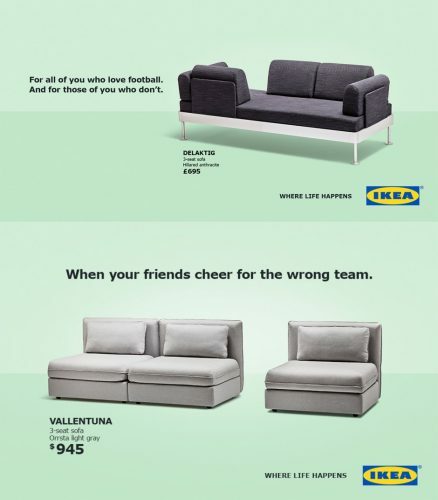 IKEA noticed that although there was a huge audience for the World Cup, not everyone is a fan of football. IKEA charged head-on with this focus and created a set of sofas to mirror this concept. The Delaktig sofa gives those living in the same home the opportunity to turn their back on the TV whilst others are watching the game. The Vallentuna sofa design is based around the knowledge that not everyone supports the same team, and therefore offers a sofa that can separate those cheering for the other side. Brilliant fun and a fantastic conversation starter! The Times focused their world cup promotional efforts using the Amazon Alexa. Questioning whether voice is the future of reporting, The Times experimented with the device in an effort to grow subscriptions. The Times Sport was a free feature, developed as a growth experiment. 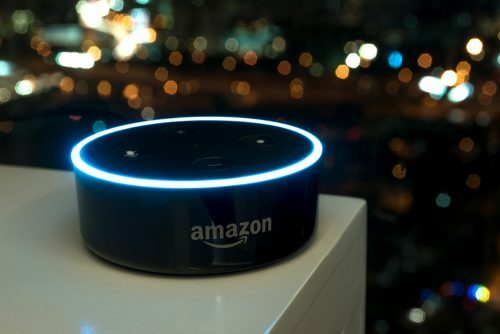 World Cup fans had the option of activating the feature by stating 'Alexa, ask Times Sport for the latest podcast' to their device. The Times hoped that this marketing experiment would "lure people into buying a newspaper" or get them onto The Times website or app, or subscribe to the podcasts. Industry experts believe that voice search will be the future of technology, so The Times were right on the money with this campaign. If you are looking to push the boundaries of your company's marketing with an innovative campaign, get in touch with our marketing experts. The possibilities are endless!